Because of the DynaMesh process, the Insert brush has become a major player in your ZBrush arsenal of features. Now that it also allows you to actually replace portions of a model, several new enhancements have been made. In addition to inserting a mesh as a negative, holding ALT while inserting a model can also stretch it perpendicularly to the insertion. The mesh is inserted within the surface that it is being drawn upon. Note: If after using the ALT modifier for drawing one object you continue to draw insertions of the same item, these additional insertions will keep the same transformation.If you need to revert to the original size, just press the CTRL key while inserting the mesh. Press the CTRL key while inserting the model to respect the original inserted mesh proportions (1:1 ratio). Press the Shift key while inserting the model to constrain the insert mesh orientation to the closest world axis plane of the model, based on your point of view. When you draw out an InsertMesh Object the orientation is stored (you can see this by switching to a transpose line after drawing an InsertMesh object out.) If you hold SHIFT and draw out another InsertMesh Object it will use the orientation the previous InsertMesh Object used. To reset the orientation back to a world axis you need to draw out a new Transpose Line to reset the orientation. Holding SHIFT and drawing out an InsertMesh object again will now use that orientation. 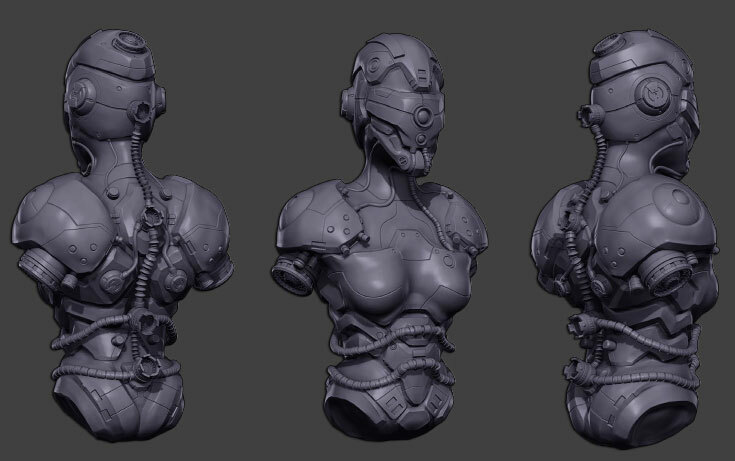 See the #AskZBrush video here. The Z Intensity setting will control the height of the inserted mesh. Keeping Z Intensity at 100 will maintain original height orientation of the mesh. If Z Intensity is set below 100 then ZBrush will reduce the height of the inserted mesh based on this value. Notes: If your inserted mesh gives unexpected results, check if the projection strength slider and try modifying its value. Don’t forget that pressing the Spacebar while inserting a mesh will let you move it across the surface of your model to refine its position. If, for example, the M switch is on then any embedded material will be lost and replaced by the selected material; likewise if the Rgb switch is on then the polypaint will be replaced by the active color (but any material will be kept). To ensure both color and material are kept turn off all three switches.